“What a quirky character this Loveday must be,” I remember thinking. “I’m gonna love this book!” Ah, but once again, I was wrong, so very wrong. I’ve tried several times to read what others are referring to as “a gem of a novel,” but honestly, I don’t get it. Loveday has been working at the bookshop for ten tears, since she was fifteen and a product of the foster-care system. She loves books all as much as I do, and like me, prefers books over people. There is a childhood tragedy that she wants to remain hidden from the few people in her life. When trying to find the owner of a lost book, she meets magician/poet Nathan. He saves her from an awkward encounter with her ex-boyfriend, which, to me, seems to really go against the notion that she prefers books to people. Unwelcome emotions begin to rear when Loveday’s mother’s old books begin mysteriously showing up in the bookshop, and she is forced to confront her past. 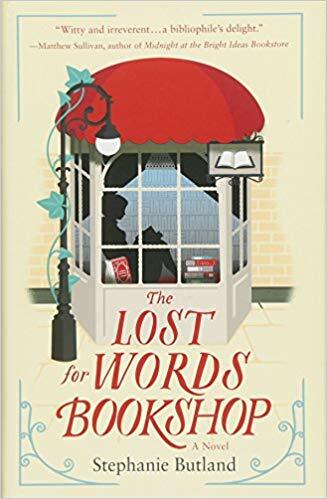 I found “The Lost for Words Bookshop” boring and predictable and that is why it receives 2 out of 5 stars in Julie’s world.